On Monday night at the Apple Special Event in their Townhall venue in Cupertino, Apple among other things announced the latest small update to their iOS platform. On Tuesday morning in Nairobi, I got a gentle reminder on my phone that an update was ready for download. Having been on WiFi, I approved the download. It was quick and painless and I followed it up with an installation. Apple shows its strength by having quick turnaround in software updates which are available around the world, simultaneously to all supported devices regardless of carrier. 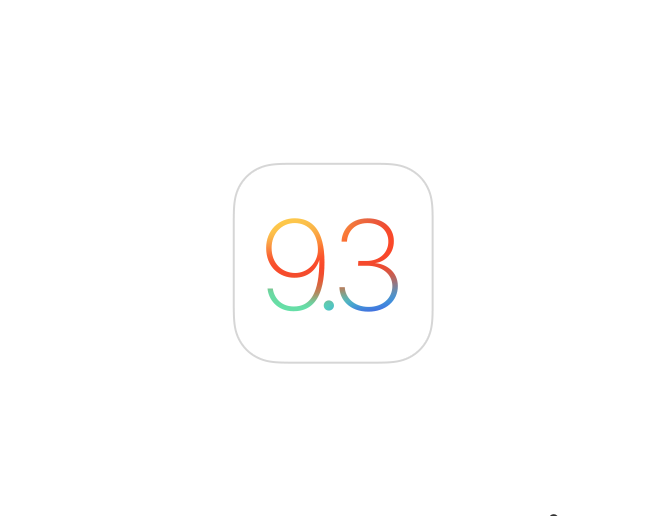 As a result, their latest version, iOS 9, is running on 79% of its devices. This is as measured by the App Store on March 7, 2016. More, these updates are available on much older devices the latest one as far back as the iPhone 4S. This, of course, is in stark contrast with the Android platform where the latest Android version — version 6.0 — Marshmallow is only available on 2.3% of all Android devices with a big number of the devices running 3-year-old Android 4.4 Kitkat. The Samsung phone launched at the same time with the iPhone 4S—the Galaxy SII—never got updates past Android 4.1. Google Nexus phones which have better update assurance don’t do as well either. The Galaxy Nexus also announced in 2011 only got official updates to Android v4.3 – Jelly Bean. Software updates are important especially on mobile devices that are used by billions of people. They resolve old bugs, introduce new and better features and in some cases very critical especially on security and battery saving additions. It also reduces platform fragmentation making things easier for third party application developers. Night Shift: Night Shift the device’s clock and geolocation to determine the end of the day, then it automatically shifts the color on the display to the warmer end of the spectrum to avoid strain on the eyes caused by blue light. Corresponding toggle for Night Shift mode was added on the control panel on supported devices. Notes: Notes can now be secured with a password or fingerprint. Various changes to the News App. Apple Watch: Ability to pair multiple Apple Watches with your iPhone. Health: For the Health App, It’s simpler than ever to find third-party apps to track your health and wellness. Categories such as Weight, Workouts, and Sleep have a new slider menu that reveals great apps you can easily add to your Health dashboard. The Health app also now displays your move, exercise, and stand data, as well as your goals, from Apple Watch. So you can see all your health metrics in one place and easily share your data with third‑party apps. Photos: When removing a photo from an album, users are given a choice to remove the photo or to delete it. iOS 9.3 now also lets you easily duplicate photos inside the Photos app to be able to create still photos from live photos. Classroom Enhancements to promote use of iOS devices in education. 3D Touch shortcut additions for stock Apple applications such as Health, Settings, Weather, App Store, Stocks, and Compass apps. Safari 9.1 improvements to stability and performance. Details on the adoption of Apple’s Health Kit and additions of Care Kit for Parkinson disease while partnering with a few health institutions. New woven Nylon bands for the Apple Watch were introduced with a reduction in price to their basic model which will now start at USD 299. For Apple TV, Siri can search more apps than it used to, folders in the Apple TV interface, dictation, including usernames and passwords (cheers in the room for that) and support for Live Photos. A new 4-inch iPhone SE pronounce “essay” was announced yesterday. Apple’s justification for this was that they had sold 30 million 4-inch iPhones in 2015 with majority of them being for first time iPhone users or smartphone owners. The device shares the design of the older iPhone 5s with updated innards including; 12-MP primary camera, Apple A9 chip and M9 motion processor and an option for ‘Rose Gold’ colors. The iPhone isn’t the only Apple device that was downsized. The 12.9” form factor announced last year had a smaller version introduced yesterday. The smaller 9.7” iPad Pro has comparable specifications to its bigger counterpart save for a True Tone screen uses four sensors to adjust the color of the screen to the ambient light. This will take advantage of the night shift software feature introduced on the updated iOS. Notably missing was an update for the Mac lineup.